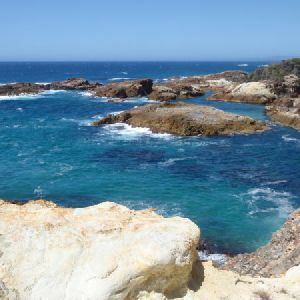 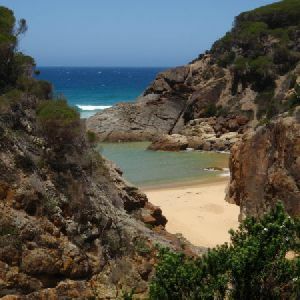 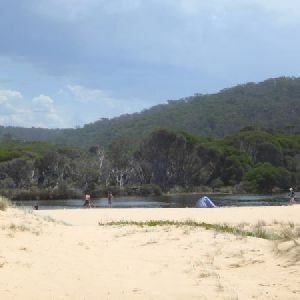 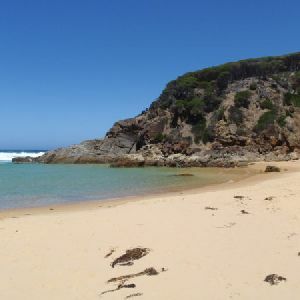 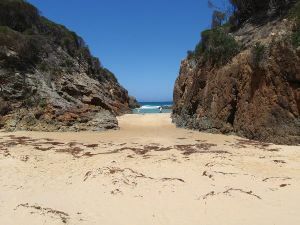 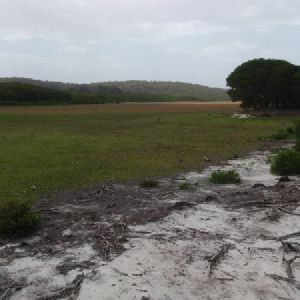 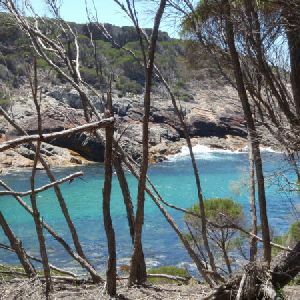 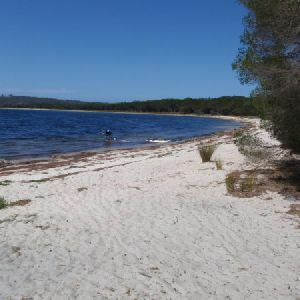 (Wallagoot car park is found at the end of Wallagoot Lake Rd, off the Sapphire Coast Drive.) 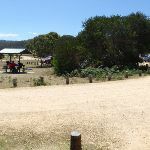 This walk leaves the car park along the track between the information sign (on the right) and toilet (on the left), heading between two cut logs. 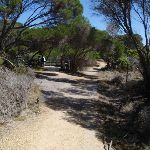 The wide track dips through a valley then heads over a rise, coming to a signposted intersection (with a timber platform on the right). 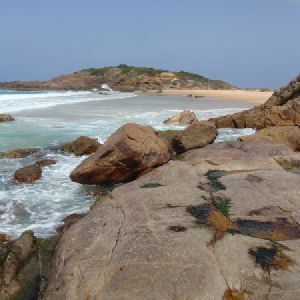 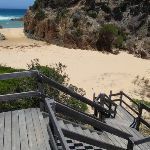 Veer right: From the intersection, the walk heads to the timber platform then down the timber steps onto Wallagoot Gap Beach. 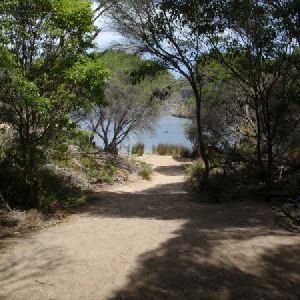 This whole walk, 320m has gentle hills with occasional steps. 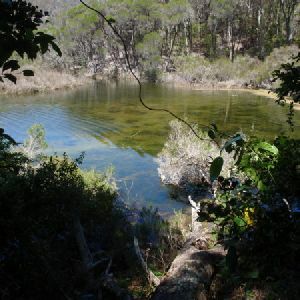 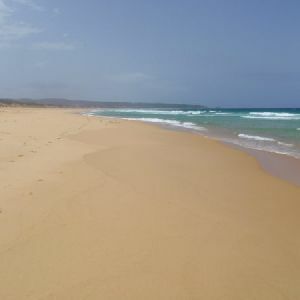 This whole walk, 320m follows a clear and well formed track or trail. 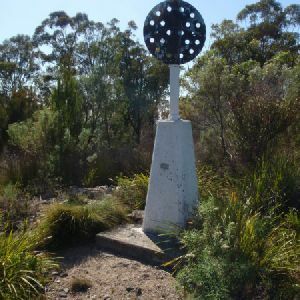 This whole walk, 320m is clearly signposted. 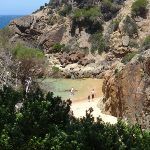 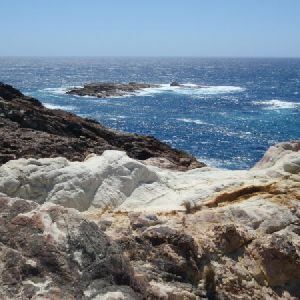 This whole walk, 320m is close to useful facilities (such as fenced cliffs and seats). 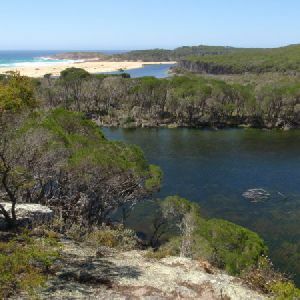 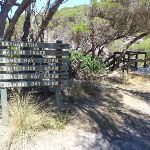 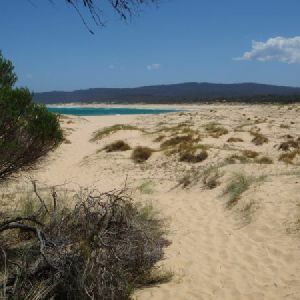 A list of walks that share part of the track with the Wallagoot Gap walk. 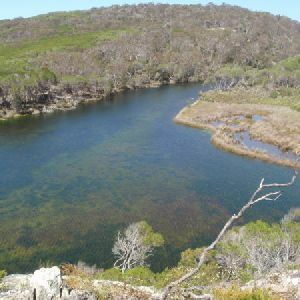 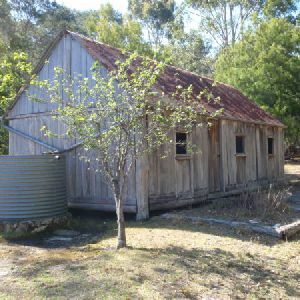 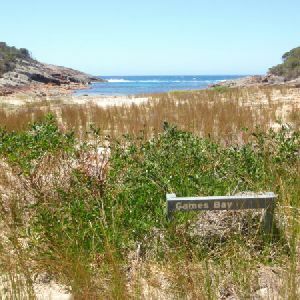 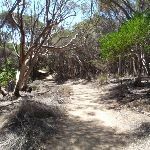 A list of walks that start near the Wallagoot Gap walk. 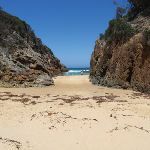 http://new.wildwalks.com/wildwalks_custom/includes/walk_fire_danger.php?walkid=nsw-bourndnp-wg Each park may have its own fire ban, this rating is only valid for today and is based on information from the RFS Please check the RFS Website for more information.